Yes, it looks like the end of summer, where little albums of consequence are ever released, is finally upon us. With that dearth, Ugly God’s The Booty Tape is one of the most popular projects this week. It has been difficult to tell just how seriously the rapper takes his career and status as a musician and artist in the wake of viral singles “Water” and “F*** Ugly God”, which is a diss track aimed at himself. This first mixtape does little to assist with this confusion. Ugly God continues to be a polarizing figure, offering 10 brief tracks in which be both integrates with the current trend of mumble rap and seemingly attempts to parody it. His lyrics are often self-deprecating or so profane and ridiculous that they become comedy gold. The issue I have with The Booty Tape is that if I really am meant to take it as a joke, he doesn’t commit to it nearly enough. The song concepts are mostly unfinished, and he does not explore the unique aspects he does bring to the table nearly enough. He very quickly devolves into a mediocre version of the artists he is meant to be parodying. It’s difficult to give this project a score due to Ugly God’s sheer idiosyncrasy, but just looking at things from a musical standpoint, it is painfully average, which is the last thing someone like Ugly God should be. The mixtape opens with a recording of a YouTube video where a white mother reacts to some of Ugly God’s hit singles with some choice words. “Good luck to him” is her initial reaction, before dubbing him “not that attractive” and calls his lyrical content “dumb stuff”. When asked her final opinion, she just says “no” 14 times. This is a perfect introduction to the strange world Ugly God is about to lead us into. The man embraces these words and turns them around into a position of confidence. “F*** Ugly God” is an absolutely hilarious idea. I wish the track was a lot longer, but for him to do this to even some degree of success is incredible, and ideas like this are why people know who he is at all. 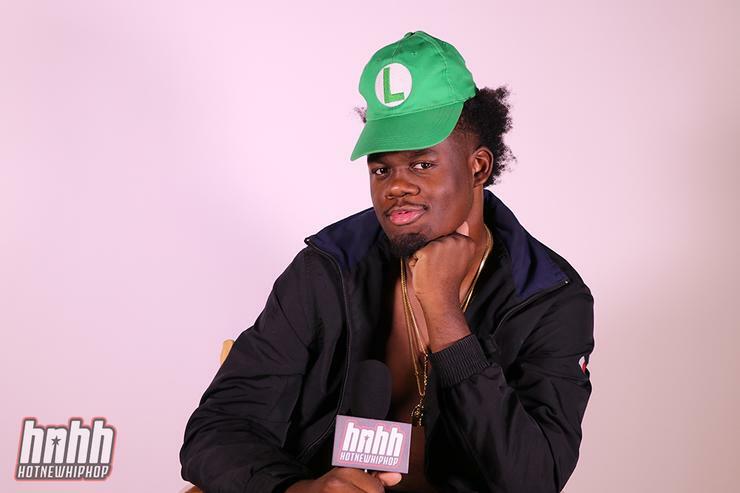 Over the course of the track, Ugly God undermines some of his own boasts, saying he is not as rich or sexually experienced as he claims to be, while criticizing himself for riding “Water” too long and saying “your whole career a joke”. The worst part? “Back in 10th grade, your coach kicked you off the team”. Ouch. Ugly God is completely stuck in the middle and I have no idea which way he wants to go. If he wants to be seen as a comedic rapper, then the presence of tracks like “No Lies”, where he attempts a standard-length rap track with standard material and a standard feature, is inexplicable. The Wiz Khalifa feature is such a strange misplacement as well – it sounds like he accidentally wandered into the studio and dropped a verse. The instrumental is boring and repetitive and Ugly God says absolutely nothing that would alert me to the fact it is him and not one of the other thousands of SoundCloud rappers trying to make it. On the other hand, if he is trying to make a name for himself past his meme status, then he needs to put more effort into the development of songs without diverting from his creative topics as quickly as he brought them up or ending them abruptly. Things barely get going on almost all of these tracks, many of them not even reaching 3 minutes and ending after 1 verse before he really says much of anything. “I’m A Nasty Hoe” is perhaps the most fully fleshed out track here, and it is really one of his funniest because he manages to fully explore a topic for once. Ugly God is ugly, but he has the confidence to get girls anyway. When he starts singing in a high-pitched voice like Lil Yachty on helium halfway through, it only adds to the comedic effect. Ultimately, the musical composition and Ugly God’s delivery of these tracks don’t do enough to separate him from the pack, and separation from the pack is the whole point of Ugly God’s existence. Possibly the biggest reason for this are the basic trap instrumentals. I feel like I say this in most of my hip-hop reviews now, but we’ve reached the apex of trap production and you have to do something insanely creative to still be interesting here. It’s cool that Ugly God produced a lot of these tracks himself, and it suggests he might take music a bit more seriously than he lets on, but the only instrumental that really jumps out to me is “I’m Tryna F***”. It is a trap beat, but it’s more energetic than most and the traditional rolling drums continue to echo throughout the whole track and guide us into huge beat drops. Again, why isn’t this longer? Basically, The Booty Tape is somewhat satisfying as as one-off novelty project to get a few quick laughs from. As music, I’m confident in saying I’m never going to listen to it again.